You can download the current version of Aperture and try it for free for 30 days. This is a full, complete working edition of the application with no limitations. Even better, the current demo version available is the same V. 1.5.2 that registered users have access to. Another thing to keep in mind... if you are a developer, you can grab this demo version, then get the Aperture Export SDK from the Apple Developer Connection site and play with writing an Aperture plug-in for the application. No matter how you want to experiment, the Aperture demo is worth trying if you're interested in professional level photo workflow. "Adobe is delivering a widely available Photoshop CS3 beta to enable customers to more easily transition to the latest hardware platforms, particularly Apple's new Intel-based systems. The beta is available as a Universal Binary for the Macintosh platform, as well as for Microsoft(r) Windows(r) XP and Windows Vista computers. The final shipping release of Adobe Photoshop CS3 is planned for Spring 2007." Here is the best current link for the CS3 Beta Download. You'll also have to get a registration number to run the software. That should be available here. Once you go to the serial number page, you'll need to enter your registration number for CS2 in order to receive the temporary SN for the CS3 beta. Keep in mind that you have to login in to the Adobe Labs site to do any of this. If you're not already registered, you'll have to do that first. Over on the O'Reilly Digital Media site, Colleen Wheeler has posted more information about this beta, plus a link to a training video for it. You might want to take a look at Deke McClelland's Photoshop Beta Preview. 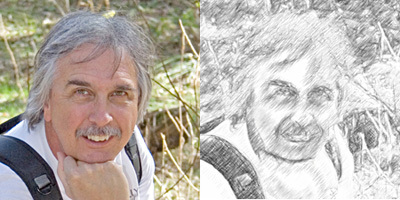 One of the advantages of digitized photos is that you can easily manipulate them to look like various types of artwork, from watercolor to charcoal to pastel and beyond. Photoshop comes loaded with plenty of filter effects. But for those who want more -- such as oil paint, pencil sketch, pen & ink, comics, etc. -- Alien Skin has released a new plug-in called Snap Art. What's different about Snap Art isn't so much the various effects such as colored pencil and watercolor, it's the amount of control over the effect that goes above and beyond the filters that come bundled with Photoshop. For each effect, you start with a palette of factory settings to choose from. Then you can customize the setting of your choice with types of brushes, different paper stocks, saturation controls, and much more. You really have a lot to play with here. For me, the photographer (and not the fine art artist), Snap Art has more tools than I need. I seem to be able to create most of the effects I want using the filters that come with Photoshop. So spending $149 for the additional filters in Snap Art seems like overkill. But if you really like tinkering with your photographs to see how far you can push the artistic envelope, then you might want to take a look at Snap Art. There's a whole artist's studio worth of tools in this package. The notion of matching a high-performace CF card to a speedy reader is appealing for those of us capturing huge Raw files. I'd never really considered a paired card/reader scenario until I came across the SanDisk 4GB Extreme IV CompactFlash Card with FireWire Reader. But now that I've had some time testing this dynamic duo, I have to say that I think it's a pretty good idea. When you buy the kit that includes a Extreme FireWire Reader and 4GB Extreme IV CF card, you have file transfer capabilities up to 40MBs a second. That's pretty speedy. I tested this duo against my longtime favorite reader, the Belkin 15-in-1 USB 2.0, and was a little surprised with the results. I transferred 386MBs of Raw files from the Extreme IV card to a LaCie 7200 RPM hard drive (via a PowerBook G4) in 49.7 seconds. When I put the same Extreme IV card in the Sandisk reader using the FireWire 800 connector, the data transferred in 29.4 seconds. That's quite a difference, especially when compounded over many shoots. You'll need either FireWire 400 or 800 capability to use this reader, and it only takes CF cards. 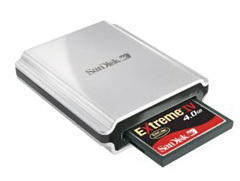 But if you want a high-speed solution to uploading lots of big Raw files, the the SanDisk 4GB Extreme IV CompactFlash Card with FireWire Reader is a powerful answer. The kit is available for $279 online. Refocus Your Image... After Capture! Imagine being able to change the focus of your shot after you've uploaded it to your computer. That's what Ren Ng will be discussing at the upcoming Camera Owners of the Bay Area meeting on Dec. 13, 2006 in Cordura Hall 100 at Stanford University from 7:30-10:00 pm. 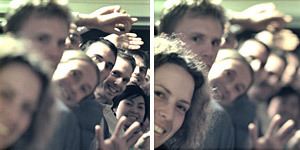 The idea is to capture extra information at the sensor, which is missing in conventional cameras. 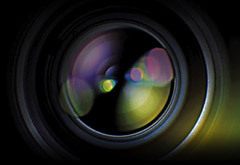 Special processing enables physical functions of the lens to be implemented in software. This approach provides unprecedented photographic features, such as the ability to refocus photographs after the image is taken. I doubt if this technology will find its way into camera stores any time soon, but it's certainly worth keeping an eye on. If I have a chance to make it to the Dec. 13 meeting, I'll post a follow up report. Adobe has posted new white papers and primers available as PDF downloads. These tutorials are authored by some of the biggest names in the Photoshop and post production world. New titles available (for free) include: The Role of Working Spaces in Adobe Applications by Andrew Rodney, A Raw Workflow in the Real World: The March of the Yellow Penguins by Jeff Schewe, Calibrating the Digital Darkroom Environment by Karl Lang, Black and White Conversion Tutorial by John Paul Caponigro, and more. You can download these tutorials and browse the entire list by visiting PhotoshopNews.com. 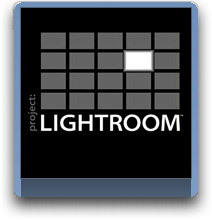 I'm a big fan of George Jardine's Lightroom podcasts, but the current one with Richard Benson and Thomas Palmer is incredible. George (who is the Adobe Pro Photography Evangelist) speaks with fine art printer and photographer Richard Benson and his printing partner, Thomas Palmer, while they recount many fascinating stories such as working on the Gilman Paper Company book, working with Irving Penn and Paul Strand, and many other luminaries. Listening to Richard and Thomas talk about using a printing press to replicate fine art photography is a study in precision and patience. These two gentlemen are fine art masters, and George does a great job of encouraging them to discuss their craft in detail. If you're interested in fine art printing, especially as it relates to photography, you should listen to this interview. I've been testing and talking about high-capacity portable drives to help manage the mountain of Raw files that I'm accumulating. A friend and fellow photographer, James Duncan Davidson, is grappling with the same issues. 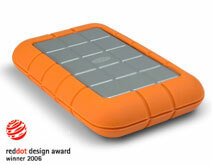 In a recent blog post of his titled, FireWire 800 Travel Drives, he touted the LaCie Rugged All-Terrain Hard Drive 120GB. I took a look at this little gem, and it looks like a winner to me. The LaCie is rugged, bus-powered (so you don't need an external power source), and it sports a triple interface -- FireWire 800, FireWire 400 and Hi-Speed USB 2.0. You can get one for $199 US on Amazon.com. I've been testing the Crumpler Thirsty Al pouches for my compact Canon SD 700 IS, and it looks like I'm not going back. The Thirsty AL series comes in 5 sizes: extra small, small, medium, large, and extra large. I've been using the small size for the the super compact SD 700. The pouches are well made combining Neoprene front and sides with super tough nylon 900D flap, spine, and back -- and 300D ripstop lining. The Velcro-secured top flap also contains a pocket to carry a spare memory card -- very handy for those of us who shoot movies as well as still photos. The back belt loop is also secured by Velcro and has a lanyard loop too. I've used the loop with my The Digital Story D-Ring keychain to secure the camera while on the go. Since most compact cameras don't come with cases, I'd recommend this series of pouches as a thoughtful accessory. They come in five different color combinations (I'm using black at the moment), are quite handsome, very well made, and are intelligently designed. 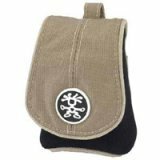 You can buy the Crumpler Thirsty Al pouches on Amazon for about $15 US. Do you have your Juxtaposition entry ready for the November Photo Assignment? If not, there are only a few more days to send in your image. (For details, see the Submissions page on The Digital Story web site.) The entry deadline for the November Photo Assignment is Thursday, 11-30-06. I've included a sample shot here to help chum the waters. 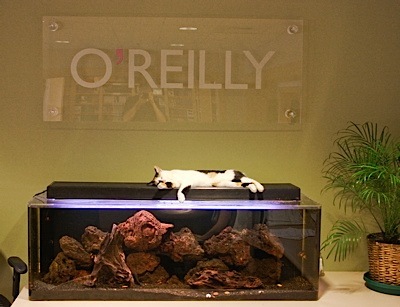 One of the favorite snoozing spots for the O'Reilly company cat is atop the fish aquarium in reception. Sometimes she even dangles a paw down, which is certainly disturbing to the aquarium inhabitants. This juxtaposition of cat and fish makes for an interesting composition. The world is filled with this type of lyrical tension. Best of luck finding one that resonates with you.